In the beginning, there wasn’t as much of a concern with the need to protect Intellectual Property as it is today. 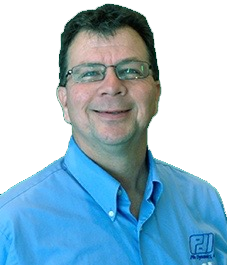 It wasn’t until a variety of competitors entered the marketplace that PDI began seeking solutions. The story of Pile Dynamics, Inc. (PDI) dates back to the late 1960’s in Cleveland, Ohio, on a college campus (Case Western Reserve). Dr. George Goble, Dr. Frank Rausche, and Garland Likins all came together to create “a firm dedicated to developing quality control instruments for the deep foundation industry.” These technologies are now used world-wide as the organization continues to modify and improve their technology. Over the years other vendors joined the marketplace, and today we have to make sure we protect our code against reverse engineering. We don’t want to expose our IP to our competitors. During the last five years in particular, the company’s products have been written using the .NET Framework. 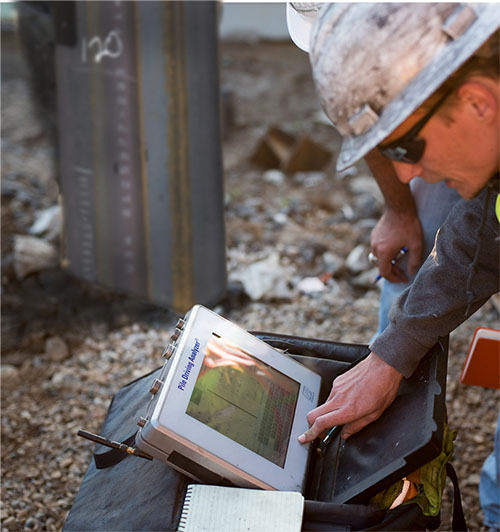 This includes products running on the Pile Driving Analyzer® (PDA-S), Standard Penetration Test (SPT) device, Shaft Quantitative Inspection Device (SQUID), and the Thermal Integrity Profiler (TIP) desktop software. While this is a beneficial, advanced framework it does have its drawbacks. By using a .NET decompiler it is easy to expose the company’s sensitive trade secrets. Realizing this was a tipping point, PDI acknowledged they needed to find a solution to help better protect themselves. However, there were many concerns to finding the right solution to best meet their needs. The company’s newer code uses the .NET framework while the company’s legacy code is written in C. Mixed mode assemblies were derived to allow the two frameworks to interface with one another. These assemblies contain both managed code (C++/CLI, C# and VB.Net) and native code, and therefore can be difficult to protect. This was a primary concern when researching companies and, as a result, PDI selected Agile.net over the competition. The ability to protect our mixed mode assemblies and ease of use made the decision to use Agile.Net easy. Their unmatched customer service proved to us that we made the correct decision. Software architect, Susan Roppel, mentions “it was very easy to integrate into our existing code base.” PDI has a significantly large code base which could have posed many problems when initiating the integration. Over the years, their code had been developed by a number of engineers, using a number of languages and extensions. Through the use of Agile.net, PDI has been able to ensure that their company can fully protect its intellectual property. This allows PDI to maximize profits and capitalize on their hard work without simultaneously allowing the competition to benefit. Agile.net was by far the easiest one to introduce into our existing environment.Agile.net was by far the easiest one to introduce into our existing environment.